What we love about the new year is that it pushes you to expand your creativity and do things outside of your comfort zone- the excitement of redesigning your life, your wardrobe and especially your home in the newest and hottest trends! 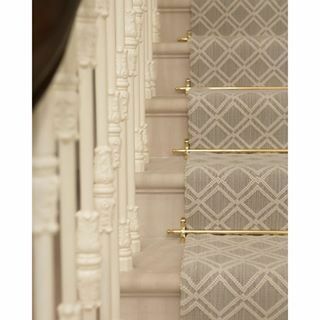 We love this light grey & white geometric carpet that flows down the stairs- the gold rods give it an uber elegant touch too! These 2D geometric tiles are unreal and eye-catching. Have you ever seen a floor so fabulous? 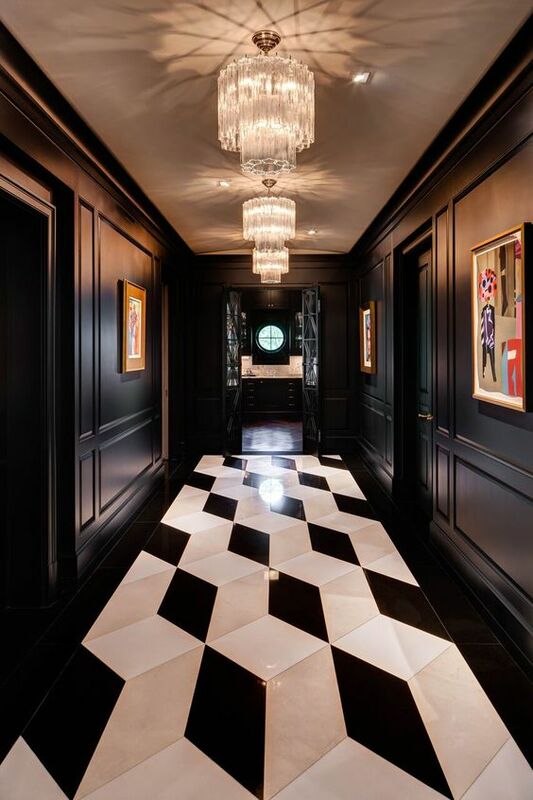 This front foyer is from the infamous Kris Jenner's home in Calabasas, California. The black and white tiling is effortlessly timeless, as it has been used in design throughout the years. This pattern was popular in the 1930's (specifically in diners) but today it is often used in foyers and kitchens. 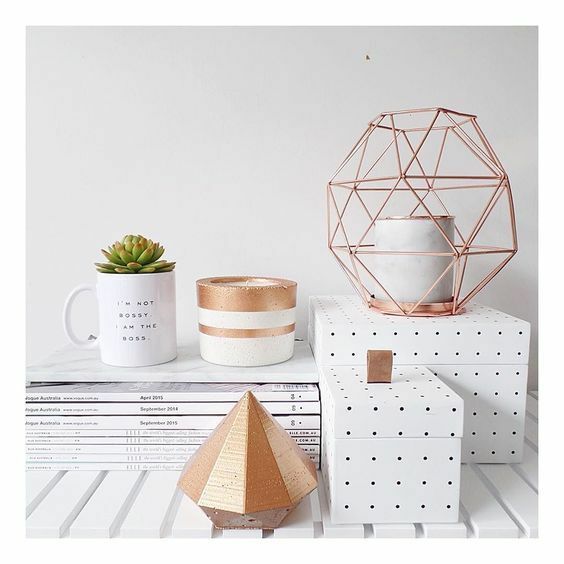 These geometric accessories are economical and eye catching- try placing yours atop a set of books on your bookcase or on a coffee table! Tip: Rugs, throw pillows, table lamps and other accessories can be easy and inexpensive ways to bring this geometric trend into your home! Visit society6.com - to find more geometric inspiration. 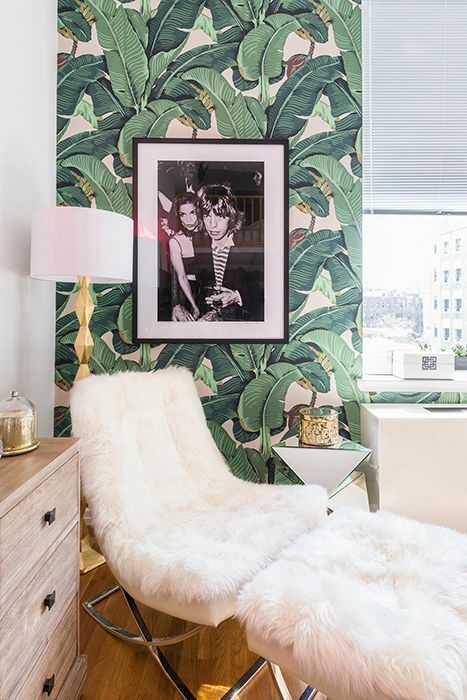 This iconic, tropical print was originally a wallpaper by Don Loper in 1942 called Martinique from the historic Beverly Hills Hotel. The wall covering makes an enormous statement in any room and today, this print has been converted into everything from bedsheets, throw pillows, accent chairs and more. 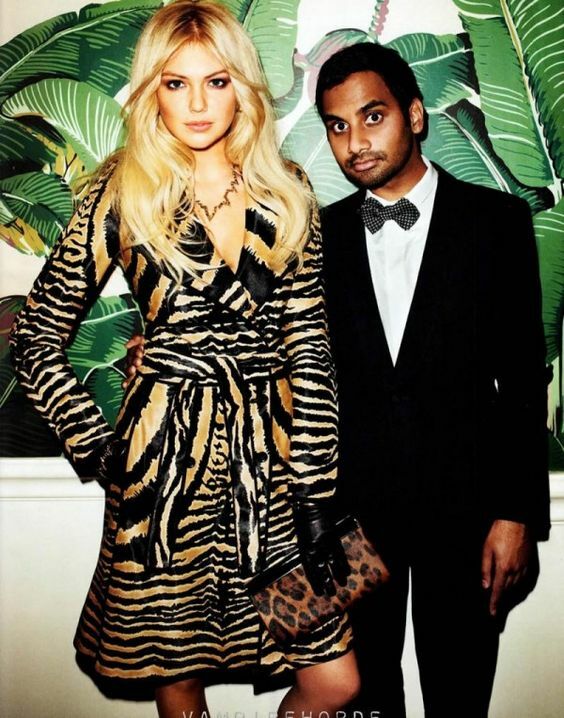 It's no surprise people are still going bananas over the banana leaf print! 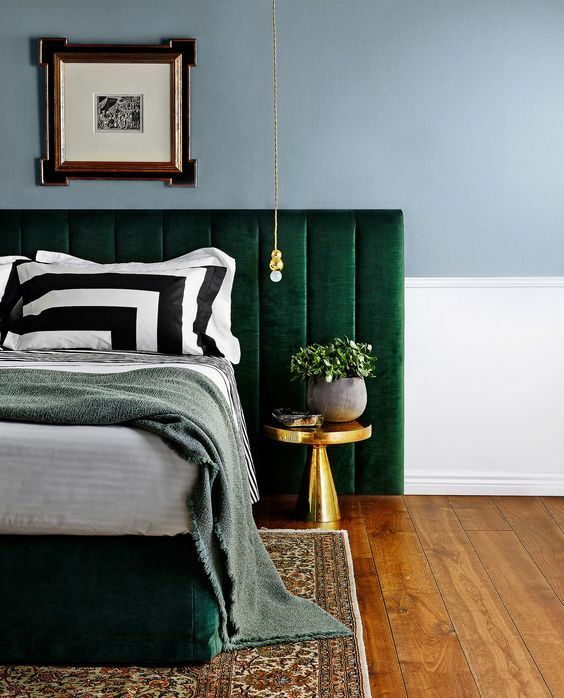 This emerald green headboard paired beside a tiny gold accent table and gold rope pendant lighting gives this space an alluring, yet cozy semblance. 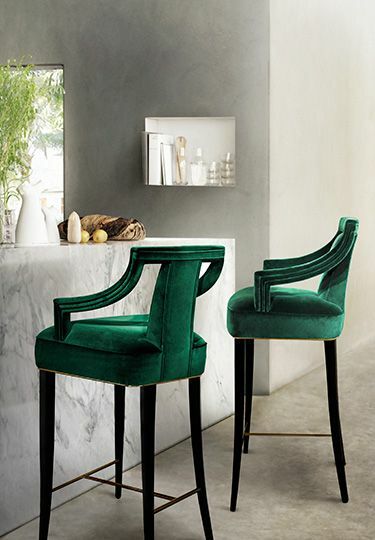 These green bar stool chairs stand out with the clean, grey tones that surround them. They are definitely the focal point of the room! 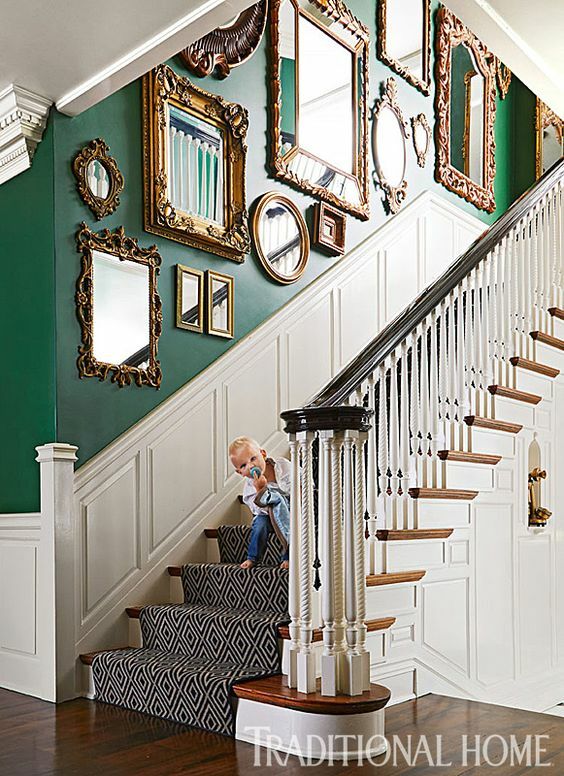 These ornate, gold mirrors lined up along this green stair wall transform the staircase into an eye catching pathway to the second floor. The white half-mouldings and the black & white stair runner brings everything together to make the space feel complete. 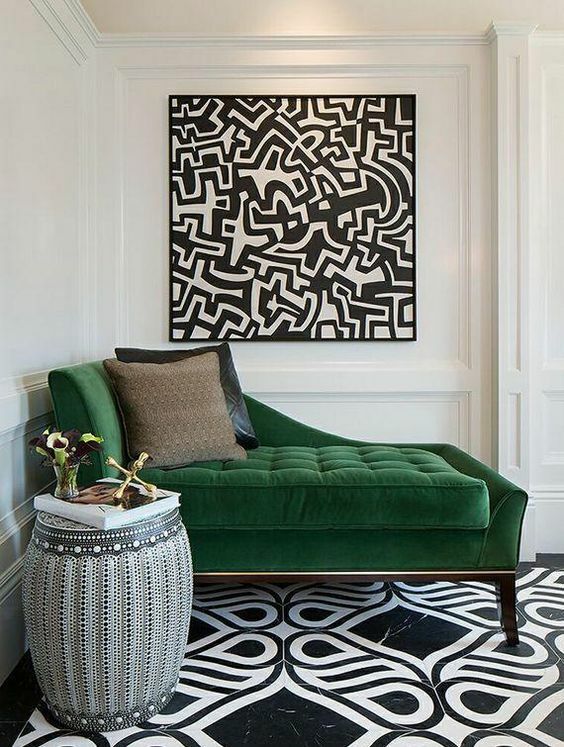 An emerald green, tufted, velvet chaise is as elegant as you can get! 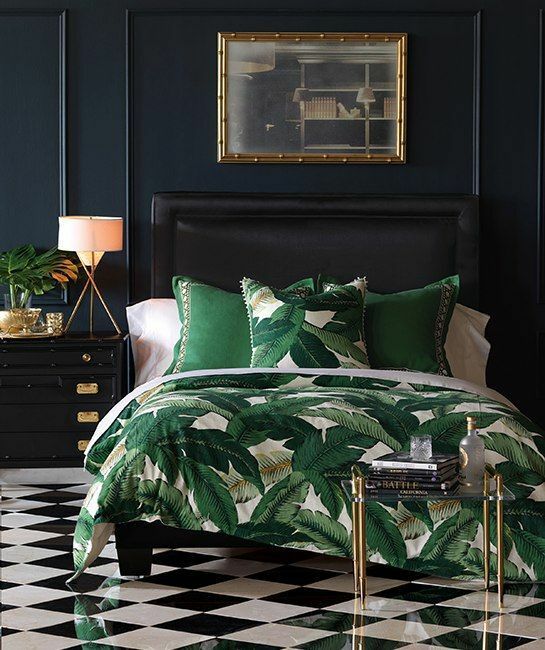 Tip: Green - specifically emerald green in this case - is so rich in colour and is especially charming when paired with gold accents and navy blue. Can you say vintage glam?! This photo was taken in a hotel in Venice, Italy called Hotel Ai Reali. In their suites, they welcome their guests with a luxurious, tufted, navy blue headboard paired with traditional, gold details. 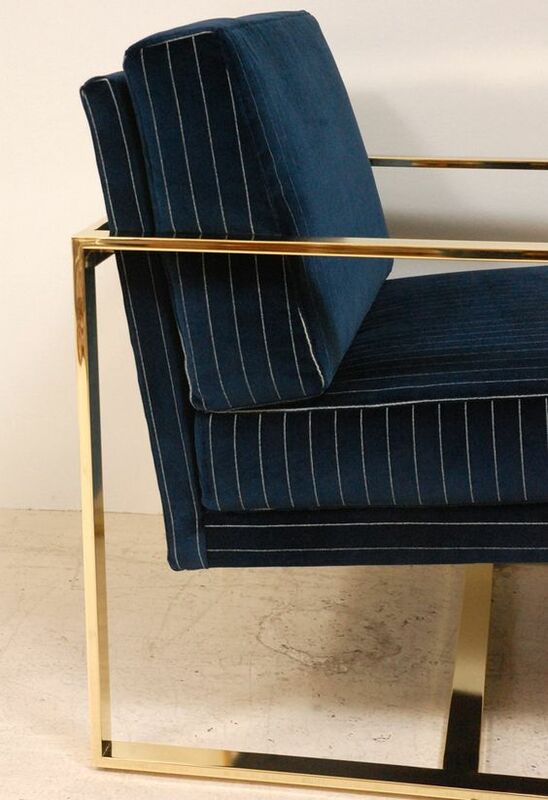 The Milo Club Chair by Lawson-Fenning features a polished brass frame and blue pin-striped velvet upholstery. What a combo! Tip: Try choosing navy blue over black! Navy blue is a great alternative because - like black - navy blue gives you a sense of sophistication and elegance without feeling too harsh. 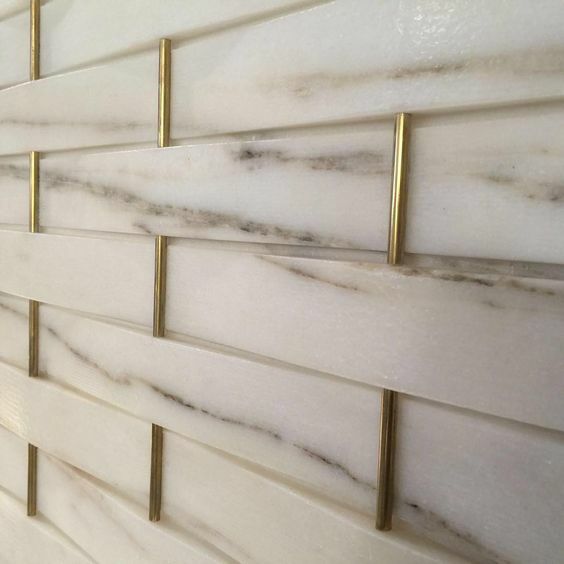 Step it up a notch by inserting brass rods on each vertical crease of marble tiles. Experimentally awesome! What a unique addition to a once typical marble island! 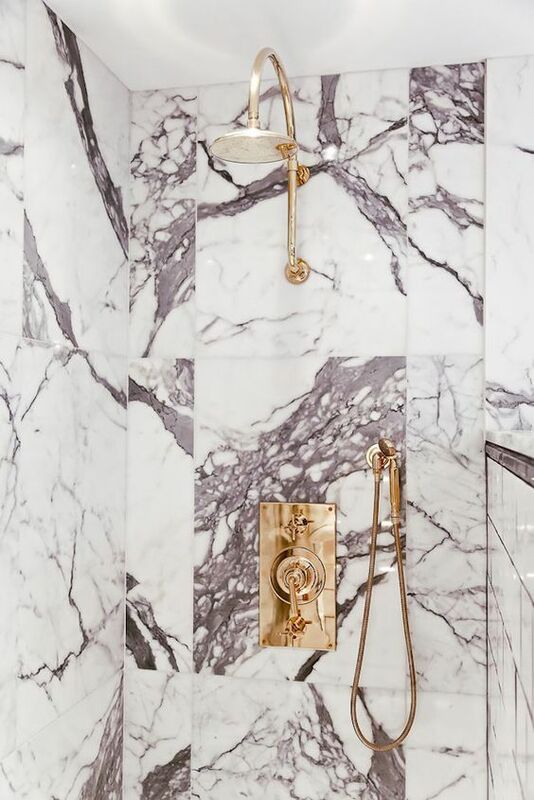 Who doesn't love using marble in bathrooms? Take it a step further by creating a captivating contrast and add some brass features! 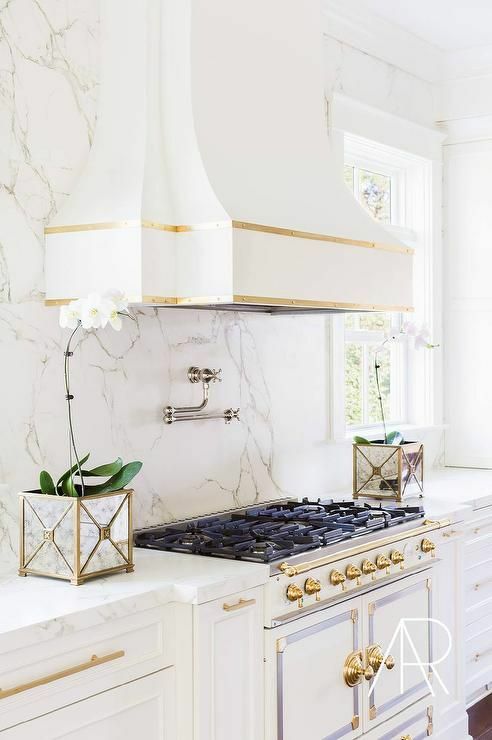 Or try out the same marble and brass combo in your kitchen. 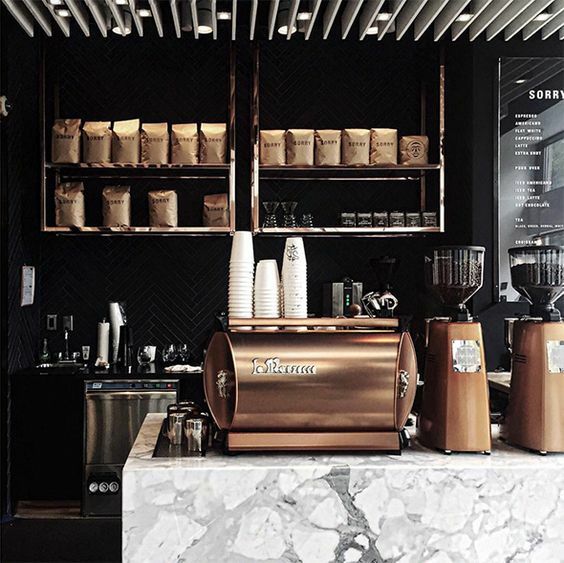 This is a well-loved coffee shop called Sorry Coffee Co. attached to the Kit + Ace store in Yorkville, Toronto (and designed by our good friends at MGBA Inc!). 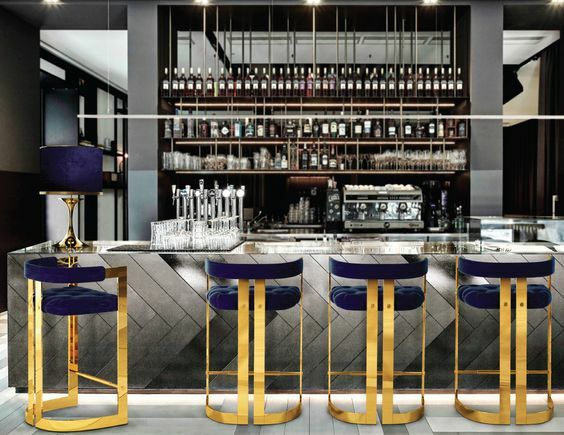 We love their use of marble and rose gold throughout the space. 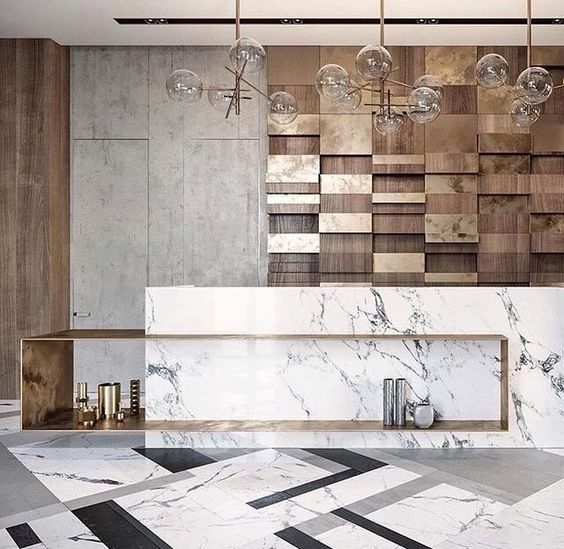 Tip: Though the marble & brass combo has been a trend since 2015, it has continued to rise. Check out websites like westelm.com, etsy.com, urbanoutfitters.com - to find endless marble & brass lamps, coasters, trays, dish ware, plant pots, and more! Bring the laid back feel of a beach home to your own dining room! 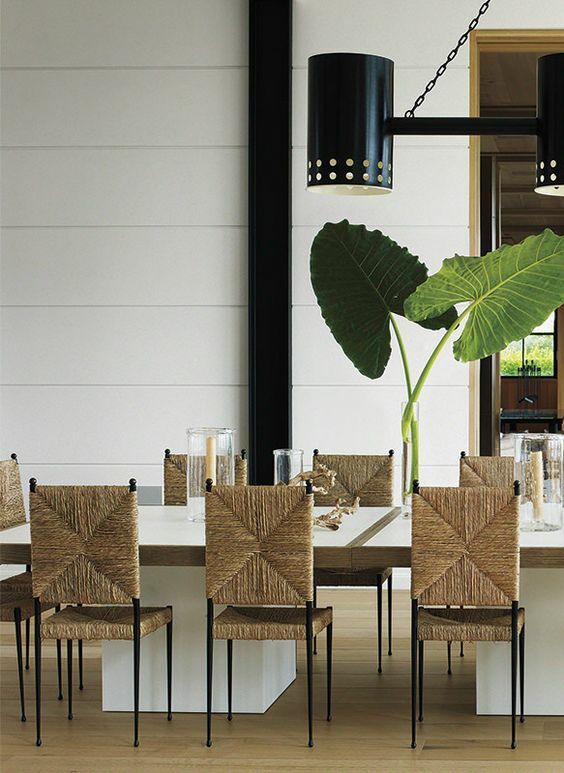 These sisal chairs give the space a coastal feel. 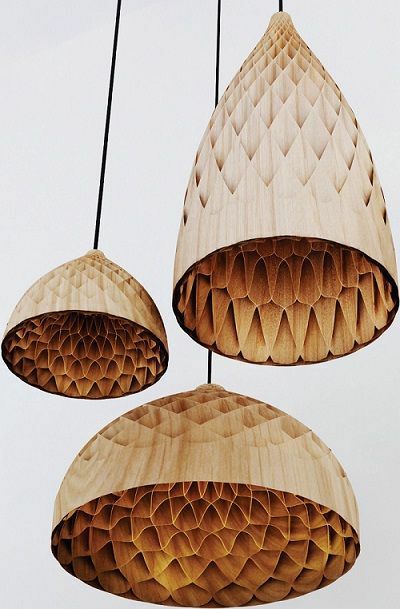 Texture can be brought into your space from light fixtures too! Fur is commonly used to add texture to room. It makes the space glamorous as well as cozy and warm. This is called Golden Island Fox Fur Blanket from Overland Sheepskin Co.. Looking for an animal friendly option? 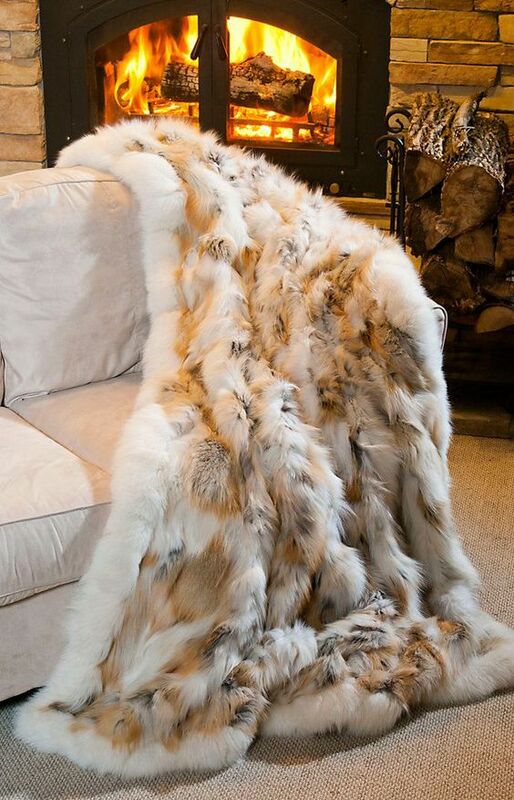 Try one of Restoration Hardware's Faux Fur throws. 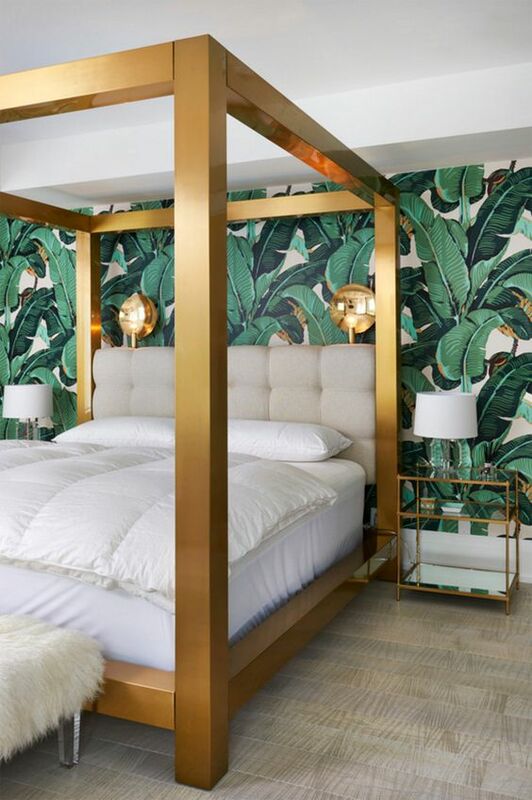 This bedroom brings in countless textures- from fur pillows, mirrored furniture, a woven, feathered pendant and even grass cloth wall coverings- creating an invitingly homey, yet captivating space. Tip: Texture not only adds character to each space, but it also creates dimension to a room. 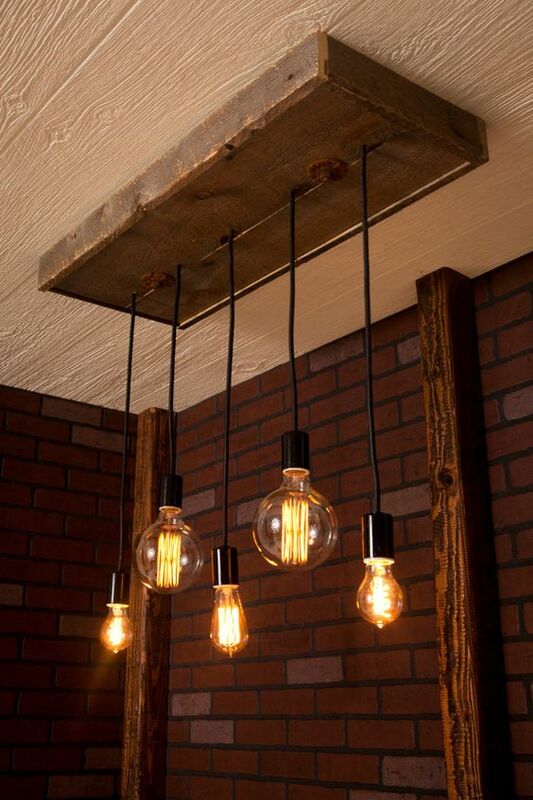 Organic and quirky light fixtures are super easy to find and can add a rustic/industrial look to your home. The thin clear strings holding up this pendant gives the viewer an illusion that the fixture is floating. 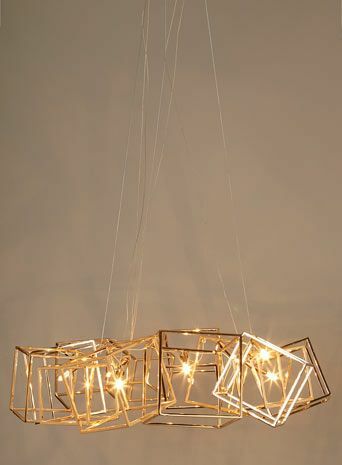 This unconventional pendant will be the talking piece of your home! 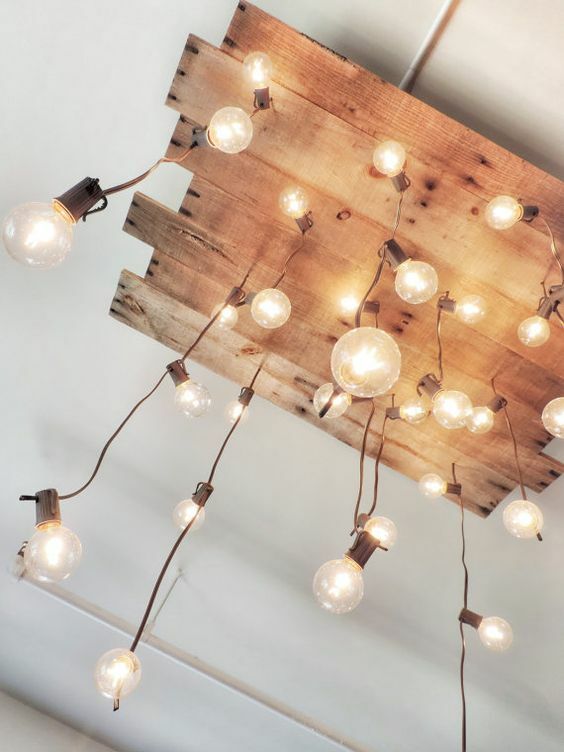 Tip: There are endless eccentric and original light fixtures available these days. Rather than sticking to what seems practical- try something new and eye catching to make your space exceptional! Trends can either be intimidating or exciting for homeowners, but there are functional ways to use these fun & bold trends- designers like us are crushing over the 2017 trends and we can’t wait to inspire!